At the top of the first Classified High-class wines. Here, there has as a currency "the Respect for the wine." The cordial Jean-Jacques Baronnat now directs this wine family company located in Gleizé and created there is more than one hundred years, by his grandfather, then producing a Beaujolais wine. "It started to sell its production in the area," specifies me Jean-Jacques Baronnat, "and with success met his own production was not enough any more, it then bought wines with other producers to provide its customers, thus our activity of trade started". Impassioned by his trade, Jean-Jacques Baronnat likes to speak about his wines with ardour, a temperament which gives him the means of surviving in a context become sometimes morose. This small company cut a solid reputation of serious and markets eight thousand hectolitres near customers primarily made up of the restoration. Jean-Jacques Baronnat furnish mainly the French market. He proposes a broad red, rosy and white wine range, selected with rigour in the properties of the Beaujolais wine, Mâconnais and the Valley of the Rhone. 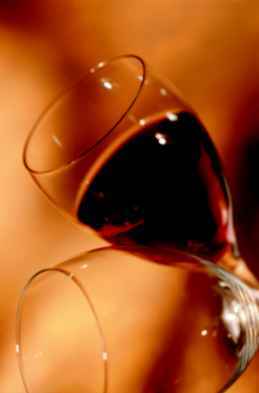 "We select our wines according to the quality-price ratio near serious producers who share, like us, a certain ethics of the wine. We maintain principles which are guaranteeing of our good image of tradition and quality." Its house proposes traditional wines: Burgundy, Mâcon villages, High Coasts of Beaune, Holy Véran, Beaujolais wine, Beaujolais wine-Villages and, of course the ten vintages of the Beaujolais wine, Coasts of the Rhone, Crozes Hermitage, Holy Joseph, Slopes of the Lyonese, Côtes of Ventoux... "we taste and select the wines ourselves," continues Jean-Jacques Baronnat; "I seek primarily quality and the typicity of each wine in order to present fine and authentic wines, when I find opportunities, I like to make some profit my customers with wines" blow of heart ". Cela se ressent dans ce Saint-Amour 2002, un très bel exemple des réussites de cette appellation, de couleur intense, bien parfumé, bien charnu comme on l'aime, tout en bouche comme ce Chiroubles 2002, de couleur soutenue, aux tanins fermes et fondus à la fois, de jolie robe, parfumé qui associe rondeur et charpente. Très joli Beaujolais-Villages 2002, aux arômes de mûre et de framboise caractéristiques. 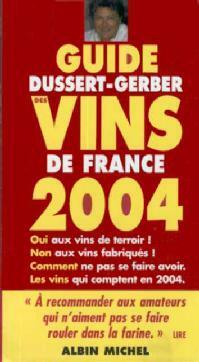 Le Saint-Véran 2002 vaut à lui seul une commande, avec ses arômes frais de fougère et de fruits. Excellent Mâcon Villages blanc 2002, au nez très floral, de bouche ample. Très jolie gamme également avec ce Coteaux d'Aix-en-Provence 2001, coloré et parfumé, un excellent Costières de Nîmes blanc 2002, tout en fruits comme le rosé 2002, parfait sur des mets épicés. Le Saint-Joseph 2000 est d'une texture dense, aux arômes de fruits rouges cuits, très équilibré, tout en bouche, un grand vin corsé et intense, de garde. Remarquable rapport qualité-prix-typicité ( voir introduction ). Pas la moindre hésitation non plus.